BRUSSELS, Belgium, March 11, 2013 (ENS) – Cosmetics tested on animals anywhere in the world can no longer be marketed in the European Union as of today – in line with regulations phased in over 10 years, but over the objections of the cosmetics industry. Tonio Borg, European commissioner for health and consumer policy, said the marketing ban is in line with what many European citizens believe – that the development of cosmetics does not warrant animal testing. A Communication adopted today by the European Commission confirms the executive’s commitment to respect the deadline set by the European Council of Ministers and Parliament in 2003. “This is a great opportunity for Europe to set an example of responsible innovation in cosmetics without any compromise on consumer safety,” he said. The search for alternative methods will continue as full replacement of animal testing by alternative methods is not yet possible. 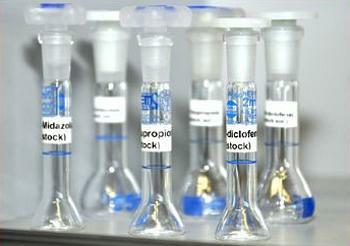 The Commission made about 238 million euros available between 2007 and 2011 for research into alternative methods. The cosmetics industry has contributed as well, by co-funding the SEURAT-1 research initiative with 25 million euros. The industry association, Cosmetics Europe, said today its members “regret the timing” of today’s entry into force of the marketing ban for cosmetic products containing ingredients tested on animals in order to meet EU cosmetics requirements. “Moreover, the cosmetics industry is a flagship for Europe, which needs a strategy for growth and innovation; this needs to include a continuing commitment to encouraging alternatives development. Cosmetics Europe is the European trade association representing 27 national associations of the EU Member States, more than 4,000 companies throughout the EU and 16 major international companies. Still, the marketing ban is now in place. Commissioner Borg says Europe’s global role in cosmetics requires reaching out to trading partners to explain and promote the European model and to work towards the international acceptance of alternative methods. Borg says the Commission will make this an integral part of the European Union’s trade agenda and international cooperation. 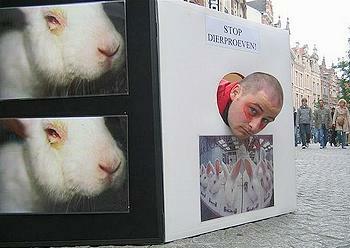 The Cosmetics Directive phases out animal testing for cosmetic products. Animal testing of finished cosmetic products in the EU has been prohibited since 2004 and of cosmetic ingredients since March 2009. From March 11, 2009, it has been prohibited to market in the EU cosmetic products and their ingredients which have been tested on animals. This marketing ban applies to all but the most complex human health effects to be tested to demonstrate the safety of cosmetic products such as repeated-dose systemic toxicity, skin sensitisation, carcinogenicity, reproductive toxicity and toxicokinetics. For these effects, the European Parliament and the Council extended the deadline to March 11, 2013. The Cosmetics Regulation, which will repeal and replace the Cosmetics Directive as of July 11, 2013, contains the same provisions. Data from animal testing that has been carried out before the implementation dates of the marketing ban can still be relied on in the safety assessment of cosmetic products. The European ban has prompted an international animal welfare group and a cosmetics corporation to call on countries around the world to implement a similar ban. LUSH Fresh Handmade Cosmetics Co-Founder and Managing Director Mark Constantine and Andrew Rowan, CEO and president of Humane Society International, have written an open letter to Accord Australasia Limited and its counterparts around the world, calling for the cosmetics industry to turn its back on animal testing once and for all. 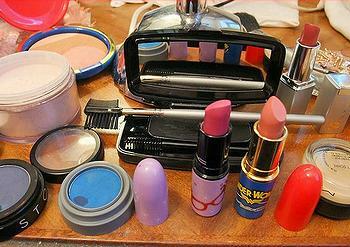 Both organizations have campaigned for years to end cosmetics animal testing. LUSH, with more than 800 shops in 51 countries, first launched its strictly ‘no animal testing’ policy in 1991. HSI has led a campaign to see the EU sales ban enforced and in April 2012 launched a global Be Cruelty-Free campaign to end animal testing for cosmetics worldwide.